This Tuesday, I headed up on the train to Cambridge to attend the annual ‘Rosalind Franklin Women in STEM Conferences’ at Newnham College, Cambridge. I had experienced work experience within the STEM industry last year when I took on Work Experience at the John Lewis IT Department as a result of an introduction at the TGS Careers Fair: whilst the experience was an intriguing insight into working in STEM, it made me realise that I was more interested in the development and sustainability side of the work than the software development, and I am thankful that I had the opportunity to observe this as it has allowed me to decide how to structure my path into further education. Therefore, when I found out that I had met the entry requirements for this experience, to discuss and debate environmental risks from a scientific perspective, I was overjoyed. I was very excited to learn that I had been awarded a place, and it soon dawned on me that this would be my first time staying in halls of residence, albeit temporarily. The subject of this year’s conference was ‘Plastics: Friend or Foe?’, and over the next few days we would receive lectures on different uses and impacts of plastic in the modern world, and we would be given the opportunity to discuss what we had learnt in small groups named ‘Syndicate groups’, which imitated the supervision teaching style that Oxbridge is well known for. Our initial lectures were very general in terms of content: they provided an introduction to the controversy surrounding plastics, and provided us with some key statistics that would be useful in later discussion. For instance, Dr Clare Barlow, from Cambridge’s Engineering Department, mentioned in her lecture titled ‘Plastics, People and the Planet’ that products with a limited shelf life, such as cheese, are worse for the environment when not packaged with plastic packaging to keep it from its surroundings due to the processes involved with production that make its carbon footprint so high - furthermore, using plastic packaging reduces the escape of water content from cheese by 10%, which helps to prevent the issues associated with food waste. It was intriguing to get an insight into another perspective away from the general assumption that ‘all plastic is bad’, especially from a professor at one of the world’s leading universities. Further lectures educated us on subjects such as ‘Pyrolysis’ (the process in which polymers are chemically recycled), micro plastics in the ocean, the effects of the human ingestion of plastic, government’s response to the issue of plastics and some useful insights into how major retailers such as Marks and Spencer and Tesco deal with sustainability issues within their respective companies. The detail of information they gave us was incredible, and as I scroll through the 10 page document of notes I took whilst I was there, I begin to see how important it is that we, as the upcoming generation of politicians, scientists, teachers and lawyers, understand that we need to be aware of our environmental impact on our planet, and that it is our responsibility to work towards a more eco-friendly future for ourselves and future generations. I enjoyed having discussions in our Syndicate groups, as the ambiance was much less daunting than sharing opinions in a larger lecture hall. It was a great opportunity to meet a wide variety of people, including international students that had come over for the event, and as someone who is normally introverted, I felt confident in my ability to debate with others about the subject of plastics because we all felt passionate about the environment. Furthermore, I was able to make some amazing friends through this experience, who I remain in contact with, through our mutual love of STEM subjects. To me, this was not only an educational gathering, but also an insight into the teaching style and environment of University, which I’m sure will be very beneficial as I make my applications later this year. 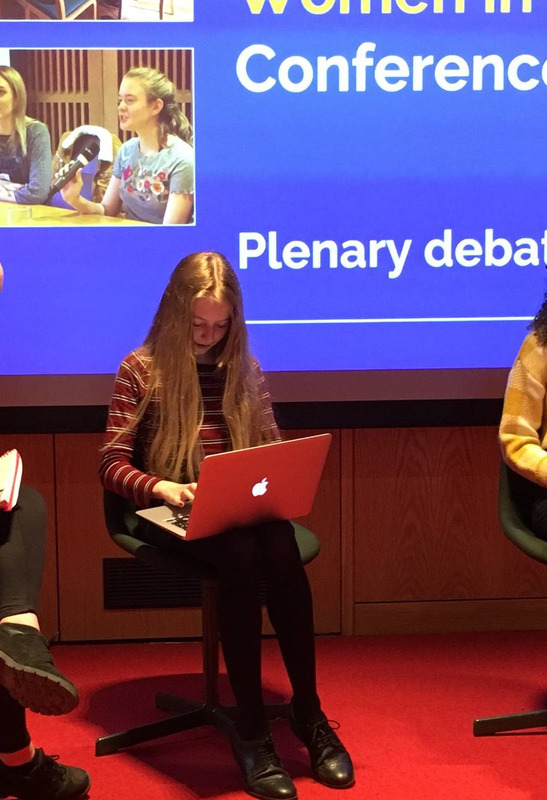 Ultimately, the conference concluded with a final debate about the overarching question: whether Plastics are truly benevolent or a source of destruction to society and the environment. I was fortunate enough to be selected for this debate, and it was a great to use the knowledge I had accumulated over the past few days of lectures. Our conclusion from the debate was that whilst single use plastics, such shopping bags, are damaging to the environment due to their short product life and inability to biodegrade, and their devastating effects upon the marine mammals of the ocean (of whom have to deal with 12.2 million tonnes of plastic entering their oceanic habitat per annum), plastics are not as necessarily as terrible as they are made out to be (given that their product life is suitable to repeated use) - indeed, plastic cutlery has a smaller carbon footprint than its wooden alternatives, due to the deforestation and transportation that is required for the production of wooden cutlery. I can definitely say that this experience has changed my opinions: before, I was convinced that plastic was 100% harmful to the environment, but now I find myself considering the so-called ‘eco-friendly alternatives’ I possess. In conclusion, what I learnt from my experience was that it is important never to settle on an opinion: through this conference my perception of plastics was completely altered, and it has taught me that the ideas that are widespread as ‘knowledge’ in general society can be disproved by scientific reasoning and logic. I have felt very inspired by this opportunity, and I hope that others will consider their individual impact on the environment now that there is so much data to support these claims. In the meantime, I hope to continuing working with eco club to help reduce the plastic waste here at Tonbridge Grammar!